6 most expensive buys in Grange! From its’ convenient proximity to the city to its’ timeless aesthetic, Grange has something to suit everybody! But it’s not just hailed for its beautiful streets and great mix of trendy and traditional homes; this quiet leafy suburb is also one of the safest neighborhoods in Brisbane. Hilltop panoramic views come with this 5 bedroom Brand new build! After the 5.7m high entrance welcomes you in; you’re met with a spacious architecturally designed home exudes luxury over its impressive multi-level layout. Only 5.5km from the city and set on a huge 1012m2 block surrounded by parklands this property is perfectly charming. With a separately powered workshop, 2x rain water tanks and solar power for the environmentally minded. This 3 bedroom home also offers a second lounge that’s the perfect place to relax or entertain, amidst the idyllic vistas of the lush tropical tree-lined rear yard and in ground pool. This internal 238m2 space embraces multiple living areas to create a home that caters to all types of families, providing plenty of space in a modern and contemporary environment that allows the whole family to spread out. Positioned within a small strip of new builds and renovated homes Howard St is a North to facing home with an ideal floorplan for all living arrangements. The Spotted Gum hardwood floors are also stunning and showcase the high standard to which this property was finished. Tucked away on one of the largest usable home sites in Grange this luxury family home has been beautifully designed to take advantage of Queensland’s summer time vibes. The exquisitely landscaped gardens help to truly invite the outdoors in and continue to encourage the relaxed atmosphere that only having a heated pool can indulge. Even at $3.3m this jaw dropping property lasted a mere week on the market!! 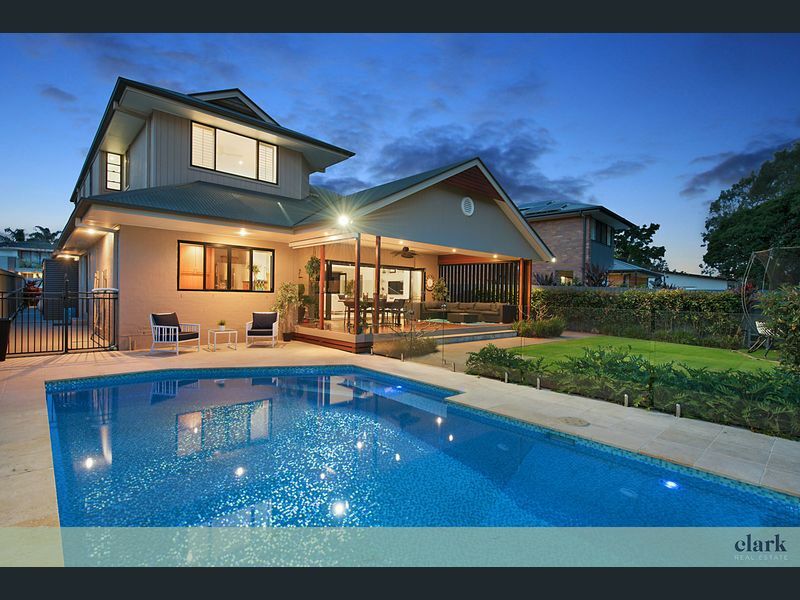 A recent renovation saw the 1,344sqm property fine tuned into a gorgeous family environment. Boasting fantastic views and grandeur abound, this historic 5 bedroom and 4 bathroom home embraces the epitome of modern living in Queensland. But it’s not just hailed for its’ great mix of trendy and traditional homes; this quiet leafy suburb has also hit some record sales highs!! !